participate to the deliverables production, operational and meeting its expectations. 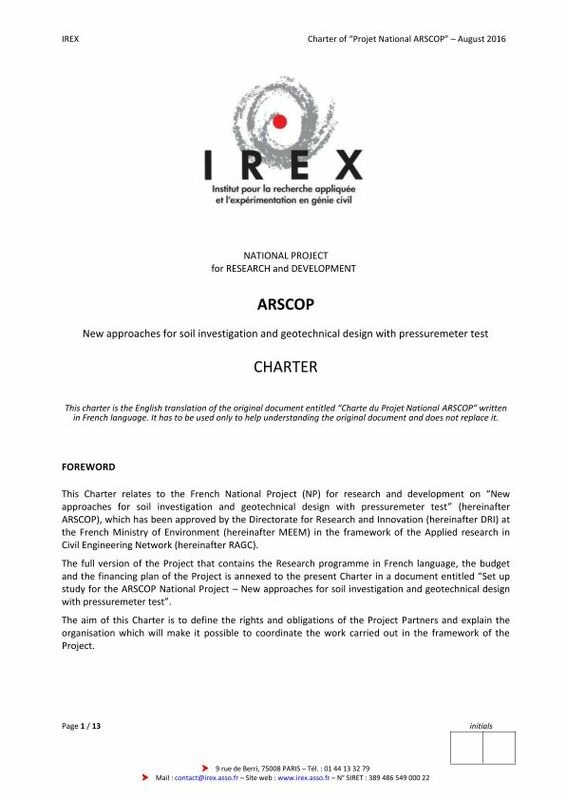 To join the ARSCOP project and become a partner, it is necessary to accept the conditions set out in the project charter. The charter is to define the rights and obligations of the project partners, and specify the organization that will coordinate the work under the project.